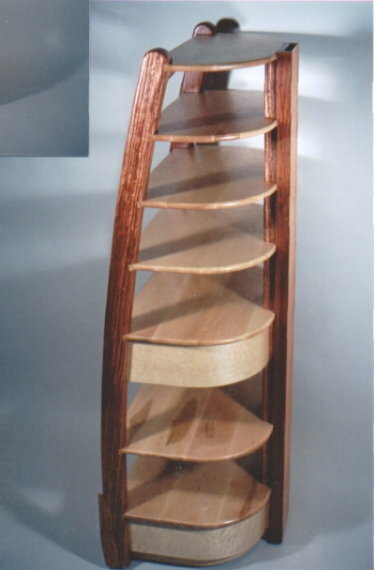 This open stereo cabinet curves in two directions, from top to bottom and front to back. 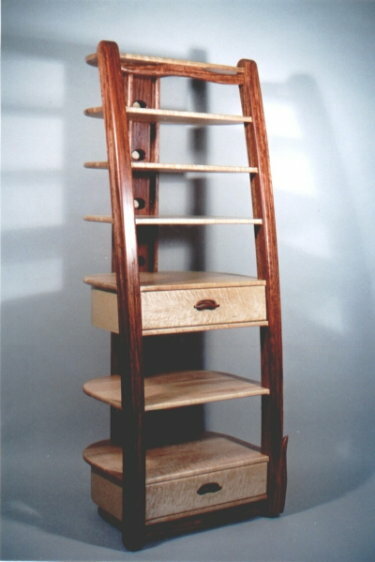 The shelves are made from solid birdseye maple. Rollers provide convenient access to the hidden wire track in the back. Hand shaped drawer pulls and leg bottoms add grace and elegance. 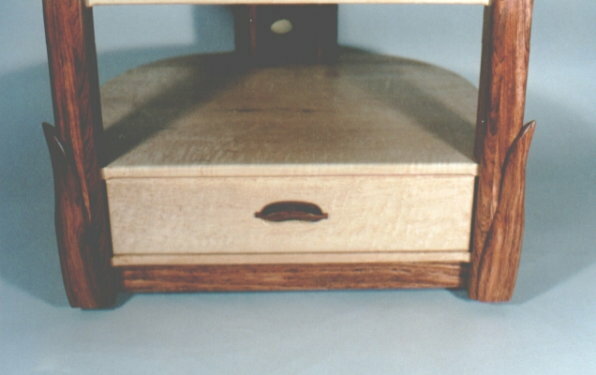 The dovetailed drawers are made with solid birdseye maple and have heavy duty full extension slides.